Just wanted to share an outfit post today. On top I’m wearing a basic black v-neck sweater and a forest green blazer. 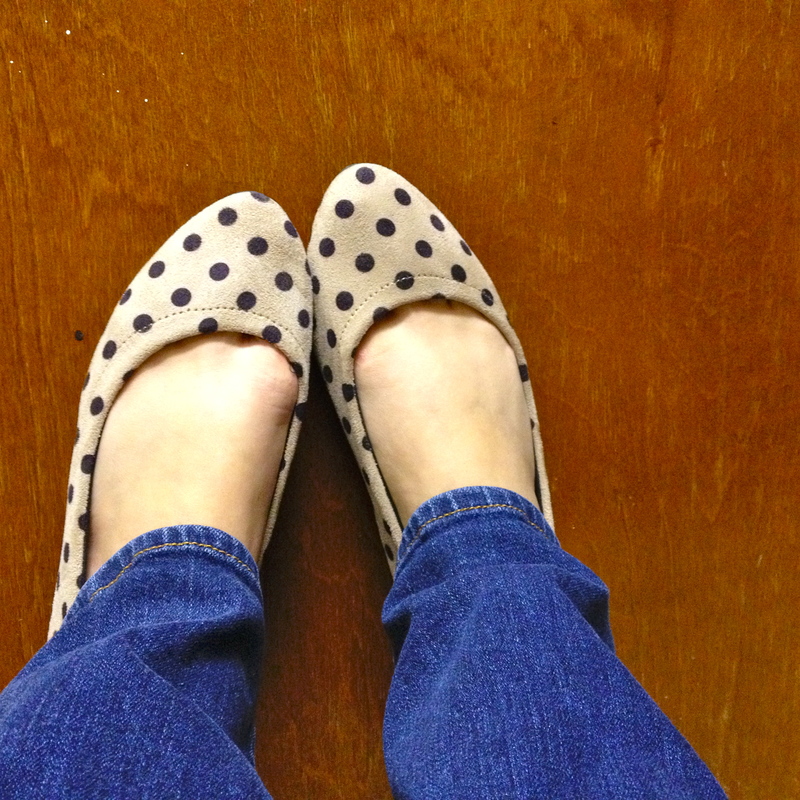 On bottom I’m wearing a simple boot-cut blue jean with polka dotted almond toe flats. 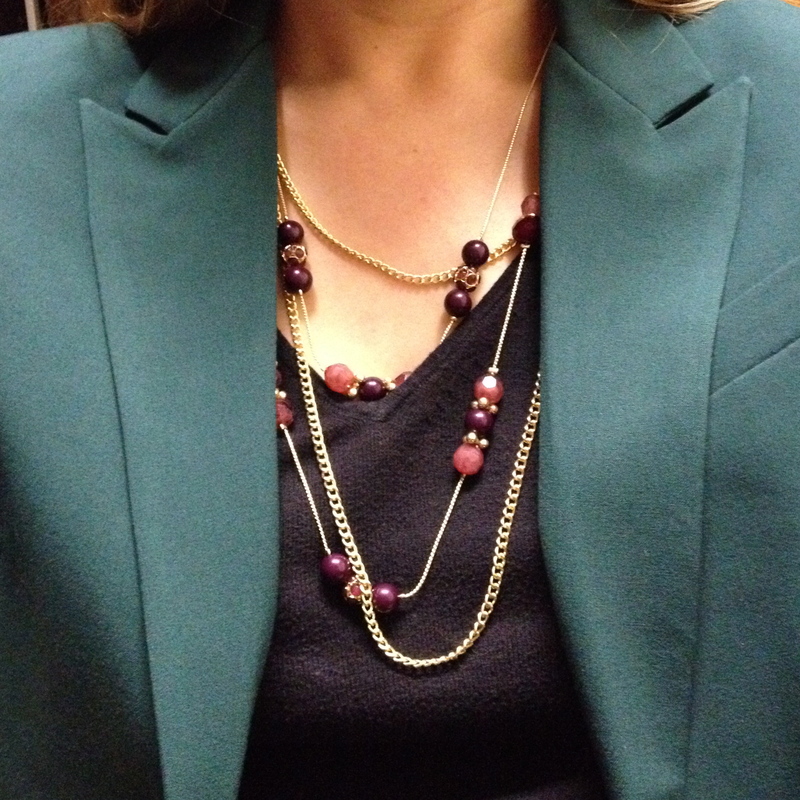 I paired a layered gold chain and purple beaded necklace with the outfit as well as a gold studded black bag. Currently, I’m loving gold accessories and blazers so this one was fun to wear and I even got to mix it up with some color (I love wearing black but a girl needs good color in her life too). I wore this outfit for a site visit last week and to a couple casual meetings with classmates and coworkers. You could easily dress this up more with heels and fitted jeans or pants. Blazer & Necklace: New York & Co. Sweater & Jeans: American Eagle. Flats: Forever 21. Purse: Alyssa. 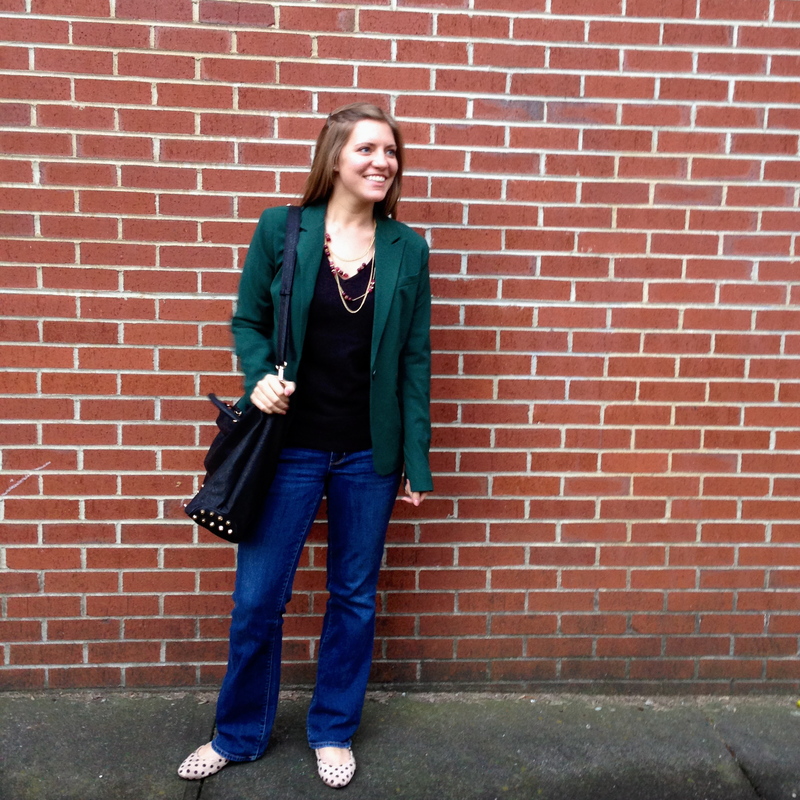 How would you wear this pretty green blazer?